Inzinc Product Solutions manufactures and sells Good Quality Industrial Signboards (Industrial Signage) Sticker format required for various industry verticals. Inzinc Product Solutions is a Brand / Division of Inzinc Products and Services and is a Product wing of Inzinc Products and Services. Inzinc Product Solutions is a leading manufacturer / supplier of Industrial Posters, Signage stickers used for Employee awareness purposes on Safety, Quality, Production / Operations, Maintenance, Environment, Statutory, Housekeeping, Motivational concepts and so on. We have given special attention to our customer needs and brought to you products that are simple, attractive, informative, with variety and quality. The acceptance of our products in various markets inside and outside India is a testimonial to the recognition of our efforts put on our products. The company has built an efficient team to support its day-to-day operations and has the necessary infrastructure supported by a growth and result oriented management. 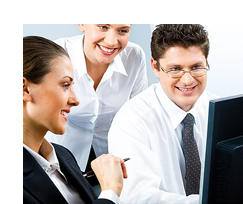 The company’s team comprises of vast experienced professionals who are skilled, knowledgeable and team-oriented.